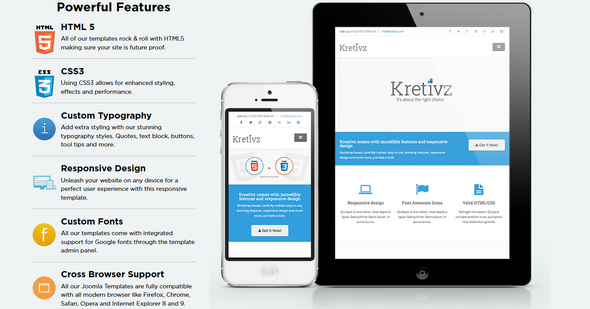 JM Creatrix is a stunning Joomla template by the Joomlama team. 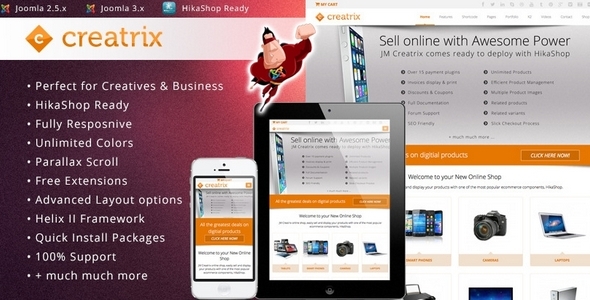 The template is a multi-purpose professional Joomla 2.5 & Joomla 3 template, which includes HikaShop plus many more features. With a clean, modern, white, professional design and 8 preset colors, plus the option for unlimited colors, it is one of the best templates for personal portfolios, creative agencies, corporate businesses, freelance workers and anybody looking to deploy an online shop. 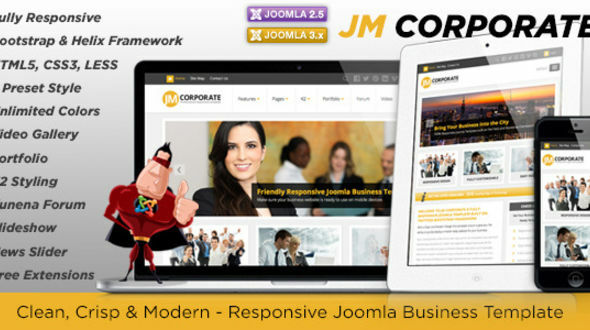 JM Corporate is July's 2013 template for Joomla 2.5. The template is a responsive joomla business themed template that will allow any company or individual to create a stunning corporate website. Built with the Bootstrap and Helix II framework, JM Corporate is a responsive template and fits all web enabled devices and browsers. JM Galeria is JoomlaMans August launch for Joomla 2.5 and Joomla 3. The template is ideal for creative and corporate companies to create and showcase a stunning website for their business. 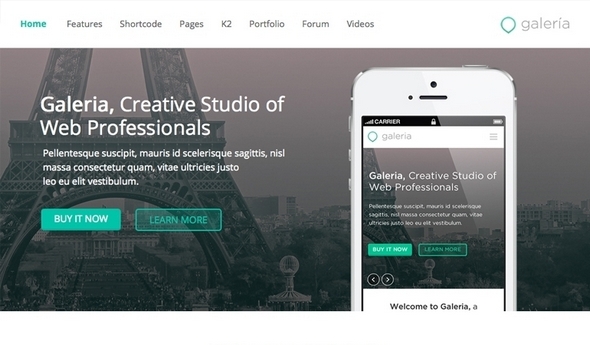 Built with the Bootstrap and Helix II framework, JM Galeria is a responsive template and fits all web enabled devices and browsers.